Please use our tools, which are designed to make things easier for you when it comes to household waste pickups. Enter your address below to find out your pickup schedule. Not sure which bin to use? Use the Let’s Sort It option. Be sure to bring your bin to the roadside before 7:00 AM on pickup day. Two bins of waste per single-family residence are allowed for this pickup. Waste is picked up on an alternating basis (every 2 weeks) with recyclable materials. Waste piled up beside the bin will not be picked up. Bags left beside the bin will not be picked up. Pickup is done with a rolling bin like that supplied for pickup of recyclable materials. To be acceptable, containers for this pickup must meet certain criteria, e.g. they must be made out of galvanized metal or plastic, be equipped with handles and a cover and have a maximum weight of 50 pounds. Using the blue recycling bin for regular waste pickups is not allowed. Waste not picked up on public holidays or due to snowstorms will be picked up on the following business day. Furniture, mattresses and other bulky items that used to be picked up during special weeks are now picked up during regular weeks. A limit of one bulky item per residence applies to this pickup. Bulk waste and glass must be placed in a box. Branches and pieces of wood must not exceed 1.20 m (4 ft.) in length and must be bundled up. The maximum weight per item is 24 kg or 50 lbs. A limit of one box of bulk waste or one bulky item or two bundles per residence applies to this pickup. White goods and metal will be picked up upon request. These items will not be picked up from December to March. Please call 394-4166 to arrange a pickup. 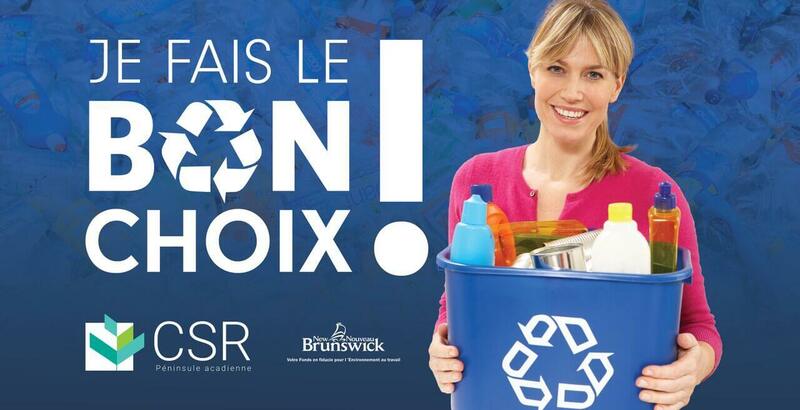 Only one recycling bin per single-family residence is permitted during blue bin week. This pickup occurs on an alternating basis (every 2 weeks) with the regular waste pickup. Recyclable materials piled up beside the bin will not be picked up. Recyclable materials are picked up exclusively from the rolling blue bin provided by the Commission. 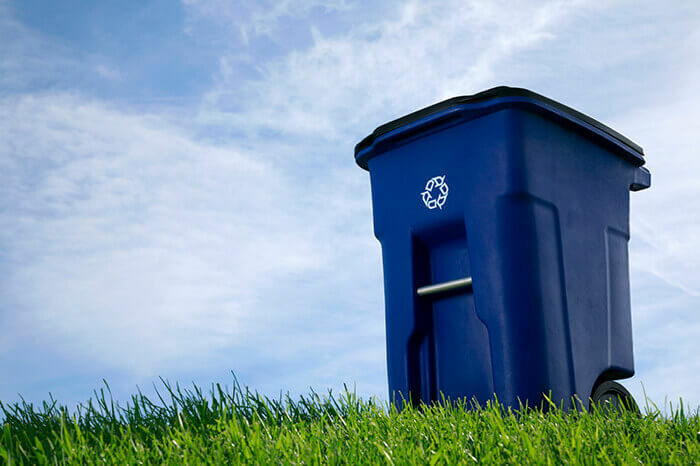 If you have to acquire a blue bin, it must be of the same size as the bin provided by the APRSC or smaller, i.e. minimum 240 litres and maximum 360 litres, equipped with a cover and able to be handled by a mechanical or automated arm. If waste pickup employees become aware of a contamination risk in connection with recyclables at a residence, they have the right not to empty the bin and to report the address so the Commission can intervene. Recyclable materials not picked up on public holidays or due to snowstorms will be picked up on the next business day. Any further questions about pickups of regular waste or recyclables? Please consult the Frequently Asked Questions section.